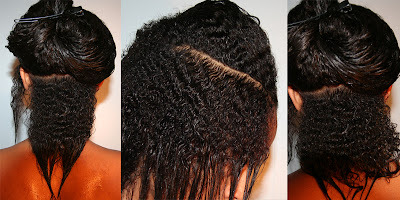 My friend Kamilah, who has been natural all her life...never had any chemicals on her hair. Not even hair dye, yes, believe it. She now wants a change, and she asked me to come along with her to search for some hair to get sewed in. 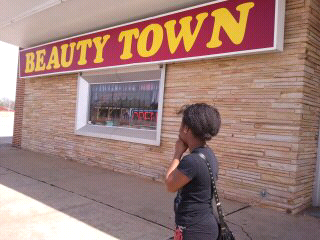 Since becoming natural I haven't been to the hair store much. 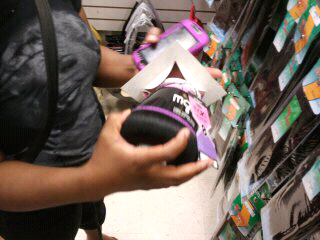 Most of the hair products sold in there aren't really Good for our hair, but I went along with her. You can imagine trying to pick out weave for someone who always wear her own hair...it was just a tad bit difficult, but we did it. I just pray she love it. 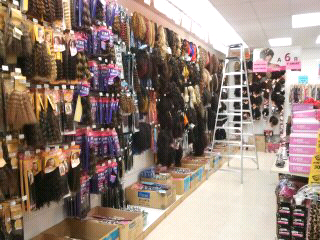 Here are some pics of our hair store visit. Once her hair is finished I'll post pics.